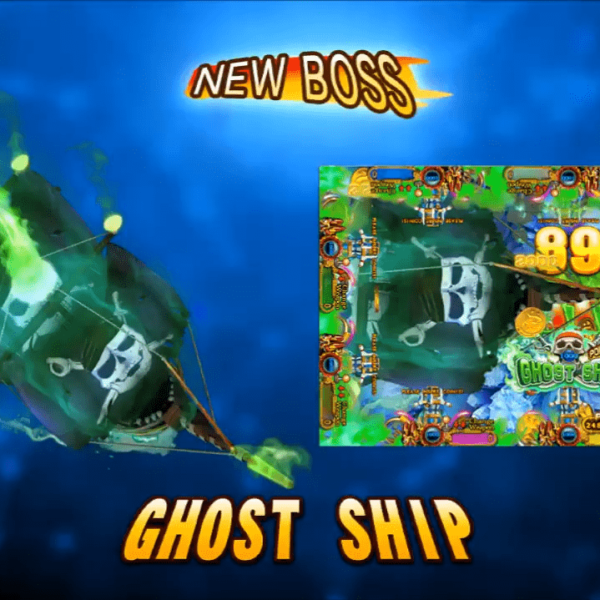 Check out the New Boss: Blackbeard’s Ghost Ship! A Brand New Fish Hunting Game from American Alpha! 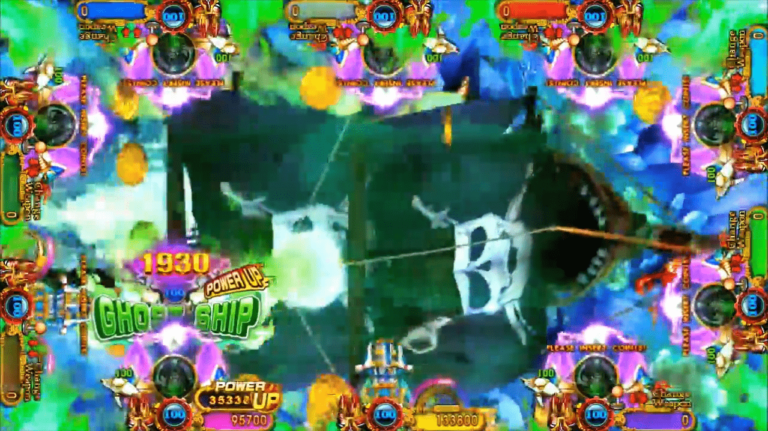 Ocean King 3 Plus: Blackbeard’s Fury is the latest in the Ocean King 3 Plus series. 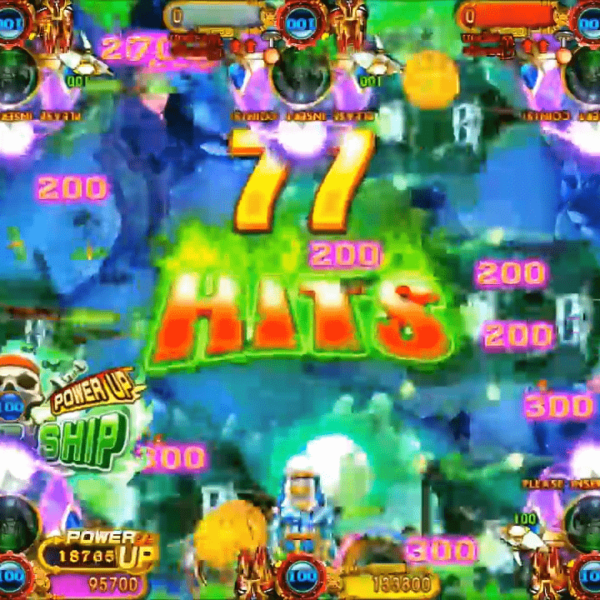 Ocean King 3 Plus: Blackbeard’s Fury can be configured for 6, 8, and 10 players. 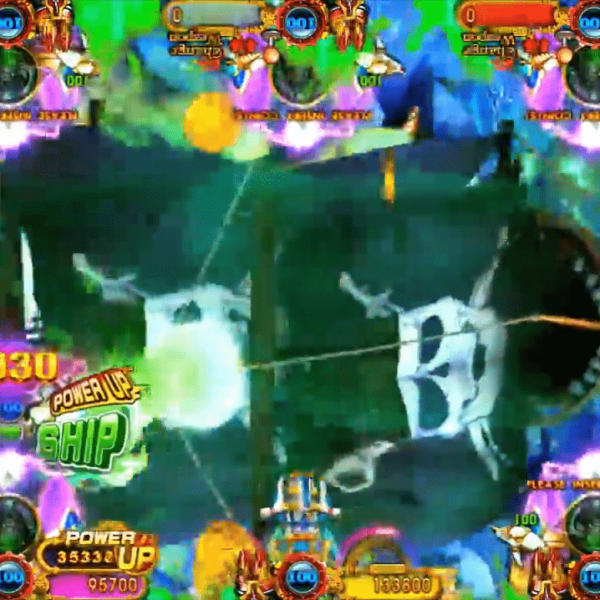 When a player catches Blackbeard’s Ghost Ship swarms of Ghost Ships will sail across to catch everything on the screen. 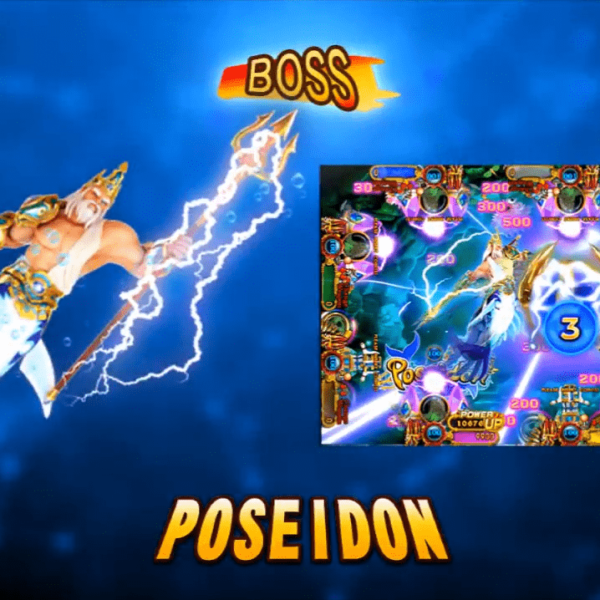 When the Poseidon is caught several waves of Poseidon attacks will help the player catch as many fish as possible. 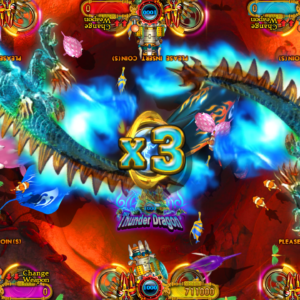 When a player catches the Emperor Crab all of the fish on the screen will be attacked by multiple Emperor Crabs circling the screen. 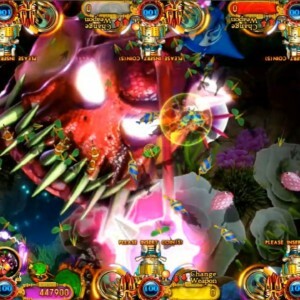 When a Darkness Monster is caught it will attack all of the fish from the center of the screen. 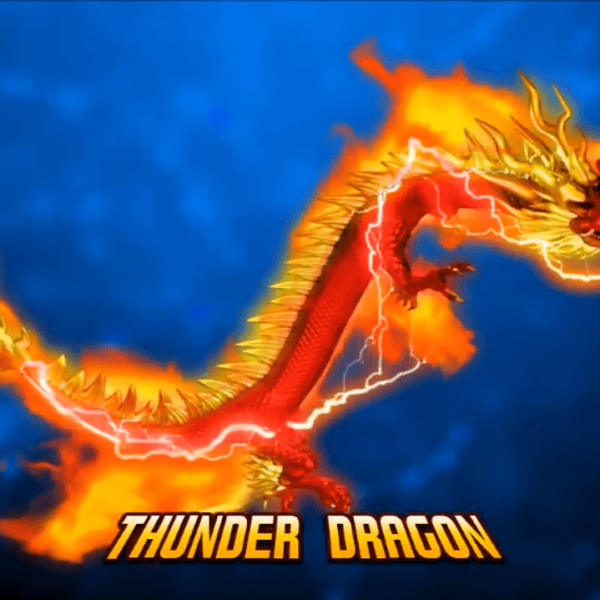 There will be several attacks from the Darkness Monster. When the Ancient Crocodile is caught a Giant Crocodile will swim across the screen swallowing up a load of fish for prizes. 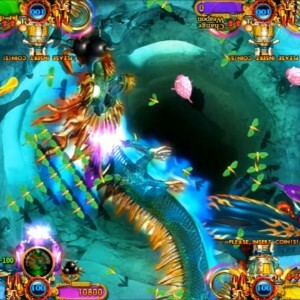 When the Almighty Octopus is caught the giant tentacles will reach across the screen catching every fish in its grasp. 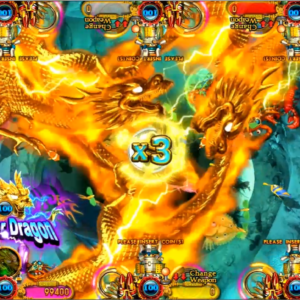 Catching a Fire Dragon will trigger a chain of massive explosions that will net every fish on the screen. 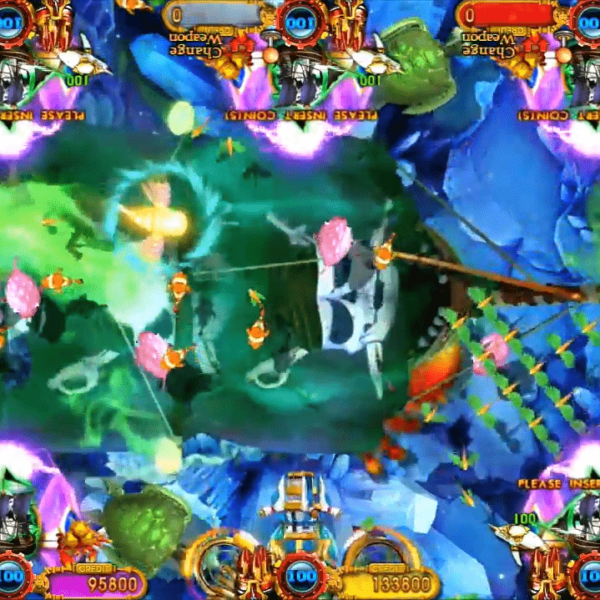 Ocean King 3 Plus : Blackbeard’s Fury is a fishing game that allows up to eight players to hunt for fish. 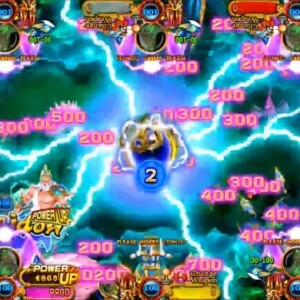 Players can join in the Ocean King 3 Plus : Blackbeard’s Fury fun at any time there is an open player panel. 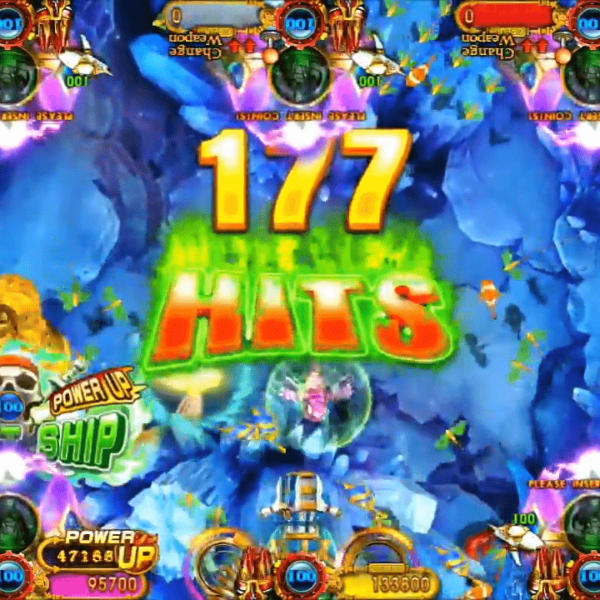 The player controls include a joystick to aim their guns at the various fish on the screen. The “Choose Weapon” button allows the player to choose what kind of weapon to use to catch the fish. The higher the point value will increase the weapons strength allowing the player to catch more fish. There are five different types of Crabs that will either increase the number of fish caught or will give the player bonus points. There are plenty of bonus rounds and features that keep everyone hunting. We can provide Ocean King 3 Plus : Blackbeard’s Fury in three different ways. We can sell as a game only with the I/O board, as a game with a complete 8 player harness or as a complete game in an eight player cabinet that comes with a 55 inch LG monitor. Our harness comes with the best quality joystick you can find on the market. Blackbeard’s Fury is the latest in the Ocean King 3 Plus series. 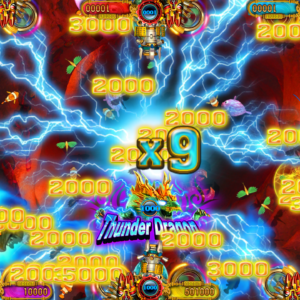 Catching a Smash Hammer Crab will summon a huge Hammer to smash every fish on the screen.